A Leader Forum is a group gathering of Leaders, who meet up to discuss issues that affect them in their everyday lives. For example, public transport, employment issues, access to social opportunities, any comments made untoward them. Topics of discussion can be positive or negative, though their main aim is to use their collective thinking and use these meetings as a platform to decide a course of action on how to break the barriers, and the stigma in society, which prevents them from being fully accepted as equals in the community. You don’t have to be in receipt of an OCIL PA service to become a member of the Laois Offaly Leader forum, once you have a physical or sensory disability, you are more than welcome to join us. If you would like more information about when and where the Leader Forums are held, don't hesitate to call the office in 05793 22832. Laois/Offaly Leader Forums are held every two weeks alternatively in Portlaoise and Offaly. 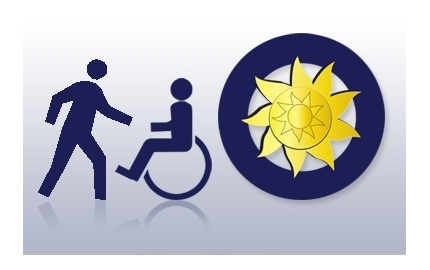 To promote the Independent Living Philosophy in the wider community. To organise social events such as coffee mornings, nights out etc to prevent isolation and exclusion of Leaders. To address any issues raised by Leaders or PA's in their day to day lives. To give Leaders a voice in the provision of their PA Service. To promote inclusion and integration. Quite recently, Declan Costello from Offaly Local Development Company has been attending the Offaly Leader Forums to see if there is any changes that can be made in the local community to assist people with disabilities. He provides a resourceful link between the Leaders concerns and opinions in the Leader Forum’s and the community. They focus on supporting communities to identify the priorities in their area, may it be local or individual needs. This is a great step of the Laois/Offaly Leader Forum. It’s a foot in the door to bettering the local community to recognise the needs of all people.